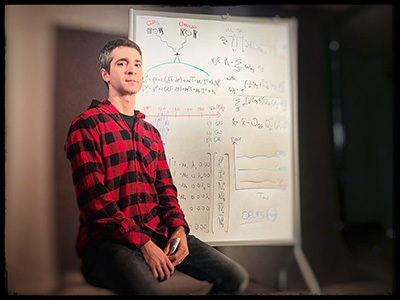 On this episode of “Ask NRCan,” research scientist David Mosher talks about his experiences travelling to the North on a Canadian Coast Guard icebreaker to map the Arctic Ocean floor. Getting from point A to point B using your smartphone’s web mapping application with the familiar pulsing blue dot is part of our daily lives — thanks to satellite system receivers that use global positioning systems (GPS) to give location and time information. Positioning technology is evolving, and today a typical smartphone can pinpoint a person’s location within a few metres, which is adequate for most personal use. But for a future that includes autonomous driving, precision agriculture and natural disaster early warning systems, centimetre-level accuracy will be crucial. 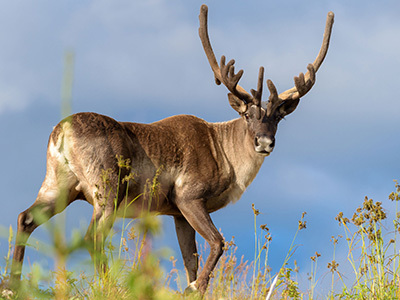 Canada’s boreal caribou are running a race against time. Their numbers have decreased by more than 30 percent over the past 20 years, and they are now officially listed as threatened under the federal Species at Risk Act. 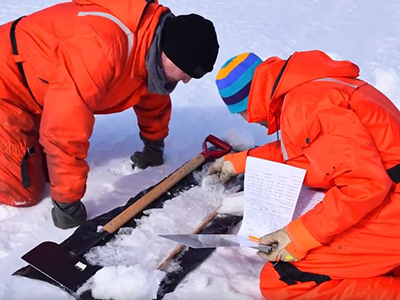 Research scientist Joost Van der Sanden explains how his team is developing a method to map the thickness of lake ice cover from space by analyzing a combination of radar satellite imagery and fieldwork data. 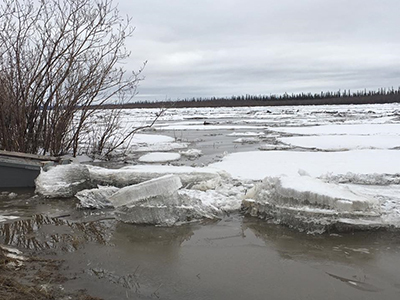 Information on lake ice thickness supports the operation of seasonal roads that facilitate valuable land transport to isolated Canadian sites (e.g., communities, mines) and can be used as an indicator of climate change. Natural Resources Canada works with Parks Canada to create a Carbon Atlas. 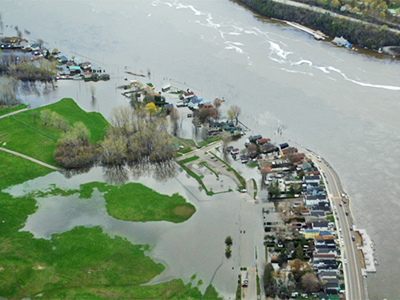 A team of scientists at Natural Resources Canada collects data from radar satellite images and produces near-real-time maps for emergency responders during crises such as floods. 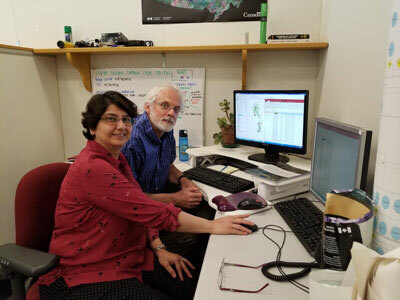 In order to help validate and update said maps, these scientists developed a new prototype app that could turn smart phone-toting Canadian citizens into supplementary sensors.